Australian tech firm Kogan has dropped its spanking new Kogan Agora 4G smartphone on British soil, with the budget device marking up at a wallet-friendly £149. The Agora 4G touts, unsurprisingly, 4G/LTE connectivity, alongside a raft of decent specs including a 5" HD IPS display, a 1.2GHz quad-core CPU, an 8MP snapper, and Android 4.4 OS. "The ultimate accessory for your busy life, the Kogan Agora 4G is sleek and intuitive," gushes Kogan. "Packed with the latest features and technology, this phone is built to keep up with the speed and excitement of your day." The 4G blower also ships with a 1.3MP front shooter and, most interestingly, a very formidable 2,500mAh li-ion battery - well up on the iPhone 5S's meagre 1560mAh juice-box. Kogan seems particularly proud of the sizeable capacity, promising"more power than any phone in this price range, keeping you going all day long." The camera's not a bad bit of kit either, offering a back-illuminated sensor for optimal light-capture and improved low-light performance, as well as a bunch of snap-happy features like 'Face Detection' and 'Smile Shot'. What's more, since Kogan's cellular runs the latest Android OS, it has access to OK Google commands, full-screen mode, Chromecast support, and all the goodies Google Play has to offer. 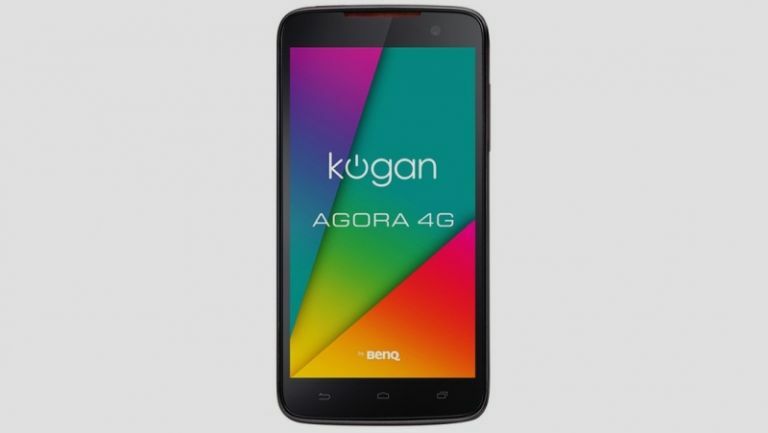 The Kogan Agora 4G smartphone is available from Kogan's website from today.